Sport Panigale V4 accessory package. Details that underline the racing soul of the Panigale V4. The carbon tank cover, adhesive protection and number plate holder are offered along with accessories made from billet aluminium that further enhance the look of the bike. 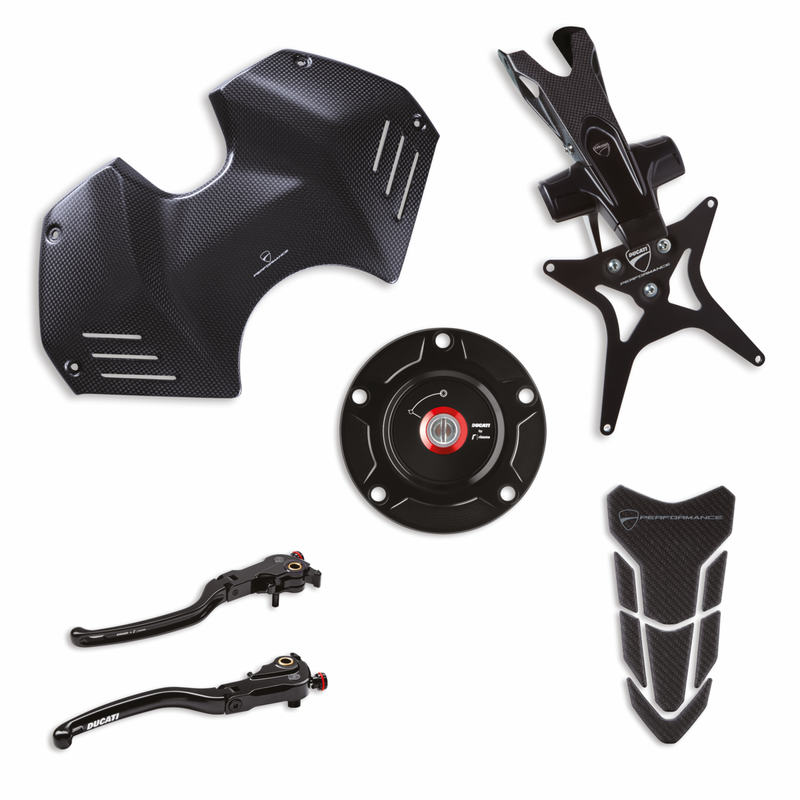 The package includes: carbon tank cover, tank plug from billet aluminium, brake lever, clutch lever, adhesive carbon tank protection, carbon number plate holder.